We R Memory Keepers CROP-A-DILE Eyelet and Snap Punch 70907 at Simon Says STAMP! 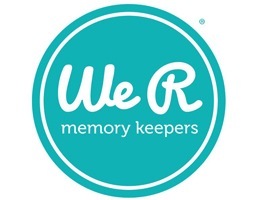 Success, We R Memory Keepers CROP-A-DILE Eyelet and Snap Punch 70907 has been shared! Due to the size and weight of this item there is a $15 surcharge to ship it internationally. With the Crop A Dile tool from We R Memory Keepers, the days of noisy eyelet and snap setting is a thing of the past. This all-in-one tool punches and sets eyelets, snaps and so much more. Easily punch through any material, thick or thin, then set eyelets, snaps or any metal embellishment into your project. The rotating heads allow you to set different sizes and styles with one click. eyelet and snap setter with rotating cubes to allow for various sizes and styles of eyelets and snaps.